In the run-up to our Workforce Management Reference Guide we will be publishing a series of articles about the subject. This week we ask our panel of experts for their tips on getting the best out of Workforce Management Technology. The subject is workforce management. You can use dedicated software, spreadsheets or whatever metrics and measurements you want, but don’t forget your agents. Make sure you catch them doing something right and let them know! They will appreciate it and you will see a return on your investment in improved morale, better customer service, reduced absenteeism and, potentially, reduced (and costly) agent attrition. If, in your resource planning role, you are somewhat removed from direct contact with agents, make sure you inform their team leader or line manager so they can be given timely feedback. Most switches have intricate routing capabilities and these are often viewed by the contact centre manager (and others) to be a panacea or cure-all. The ability to route calls in various configurations is one thing – ensuring the correct resource is in place is a whole different science. ACD routing configurations should be determined by proactive WFM resource and planning procedures, not vice versa. Don’t let the tail wag the dog! One of the biggest areas of service failure is unbalanced rotas, where coverage by day of week or time of day varies week on week, according to individuals’ progression through their rotas. This often manifests itself by starkly different service level agreement (SLA) achievement on the same corresponding day each week, irrespective of variations in workload. This is often caused by multiple rotas, especially personal working conditions, sometimes agreed by HR departments with no reference to operations. If an agent can only work, say, one Saturday in three, who are the balancing individuals who will cover the shift on the other two Saturdays? Many centres use the wallboard on an ad-hoc basis to decide when to send agents for breaks, hold team meetings, etc. – “it’s quiet so take your break now”. A wallboard can only tell you the current position and what has happened so far; it cannot tell you what is likely to happen going forward, even in a minute’s time. Breaks and activities should be planned in according to the WFM system, not taken on an ad-hoc basis. The average handling time of calls is a key to your cost base. Delivering quality calls quicker can significantly reduce agent costs or enable you to deal with more calls at the same cost, or even the same calls to a higher SLA. Sample your experienced agents and plot their average handling times. Take the upper quartile of the quickest agents and check that quality is not being compromised. Assuming it isn’t, identify what your most efficient agents are doing right! Are they using working methods and practices that could be trained out to other staff? Software, scripting and other methods may deliver quicker calls but often your best agents will have already identified the most efficient work method. 6. Ban the sandwich trolley! The morning 10:30 round with the sandwich trolley can devastate your performance! Agents congregate around the trolley and the call queue rapidly escalates. If possible, come to an arrangement where a menu is circulated in advance and completed orders are delivered individually. Any resourcing plan must be “owned”. This is both at the planning and delivery stage. The simple test is that a senior manager should be able to identify an individual (or individuals) and ask how performance is looking tomorrow (the plan) or how service is expected to be today (the delivery). If they cannot, there is insufficient ownership. Robust reporting processes, together with clear roles and responsibilities, are key to service delivery. Ensure processes are in place to enable absences and other variations to plan to be input into the WFM as soon as they are known and their impact on service evaluated immediately. Crucially, make sure an informed person (Service Delivery or Intraday Manager) has the authority to effect changes to protect service wherever possible. This may be by break or activity re-optimisation, overtime or other escalation plan. Most centres see achievement of SLA as a tick in the box; if it is achieved, everything is okay. If you are achieving SLA, examine whether this is because you are correctly staffed (good) or overstaffed (bad). If you are overstaffed, can you utilise this excess agent time pro-actively for other activities, training sessions, etc? If you are consistently achieving SLA due to overstaffing there are medium-term efficiencies to be realised. Centres often report their SLA on a weekly basis with achievement over the week being the objective. This is particularly true of 80/20 or similar PCA targets. Simply reporting on a weekly figure can hide a multitude of sins, typically significant under-performance on some days (Mondays?) with significant over-performance on other days to make up the figures. Not only are customers receiving a bad service (and impression of your organisation!) on the bad days it is costing you more in agent resource to make up for the original poor performance. In a new business start-up or a seasonal business ramp, always remember to review all your assumptions and shrinkages for the resource model, including the increased operational and support functions needed. Key demand drivers like AHT, first time resolution and quality will improve and show efficiencies for each group recruited. Monitor these metrics by tenure and blend the experience and inexperienced together in the resource model. Additional off-line support for recruitment, grad bay, training and floor walking has to be factored into the resource model as these tend to be experienced advisors. Attrition will increase in a fast ramp as will your absence figures, but if you preload the model to allow for adequate support to be in place this can be controlled. A little additional cost at the beginning can save recruitment costs through the ramp. Does your Resource Planning team need additional admin support for the ramp period? 12. Always focus on the WIN/WIN! Every department must be working to give the client the resource required at the right time with the correct skills and capabilities in a cost-effective manner. We achieve this by aligning departmental goals between operational management, resource planning and service delivery. This requires clearly defined responsibilities and accountability in an environment that requires constant compromise, but by focusing on the ultimate goal of delivering for the client we can achieve the required performance. In resource planning we can’t make everyone happy, so don’t try. Design an effective set of shift patterns that match the client demand and the recruitment market; using a mixture of full-time and part-time staff optimises staffing levels to call demands. Be clear on the impact of limiting factors like span of control, transport infrastructure, seat capacity and legislation-led factors like flexible working and the working time directive. Be realistic on the flexibility required both from the business and the advisors based on the volatility of the demand. In order to assess if you have an absence problem you must be able to monitor and measure it. Collecting data can help to identify trends in absence and any potential causes. In the conditions of employment, you should include terms which allow the company to hold more detailed employee absence records, to allow you to measure absence more effectively. By counting the number of employees who take at least one spell of absence in the period, rather than the total number of spells of absence, this calculation gives an individual frequency rate. Even the most advanced WFM is not going to produce the planning you need to successfully drive your business if the planners using the system do not have the relevant skills. Team members need to have fundamental planning skills and an understanding of how the planning cycle works, along with an ability to communicate effectively across the different areas before being able to apply that knowledge and manipulate the WFM effectively. 2010 research by the Professional Planning Forum showed that 65% of planning professionals had no formal development or training within the last 12 months. The WFM is an enabler that can dramatically enhance the performance of your contact centre, providing you have the right people with the right skills to use it to continuously drive performance. Sharing best practice regarding the use of your WFM can be extremely useful and insightful. Many companies hold user forums and seminars allowing users to meet and network with other businesses that use the same system. However, don’t limit this to just users of the same WFM. We have found that many have gained just as much value from speaking to other planners at our local networking groups, seminars or training courses who use different systems. It is often the case that different systems have very similar capabilities, or that suppliers have provided different levels of training that can be adapted by other companies for use in their own centres. Your supplier will also have a feedback mechanism whereby you can request add-ons to the system for future upgrades. 24% of companies we surveyed feel very satisfied with the training and support provided by their WFM provider, however, only 15% feel that they use the breadth of functionality appropriately. By throwing users ‘in at the deep end’ with system training, many of the benefits can be diluted as back in the workplace, the full functionality may not be utilised immediately. Ensure you have a h4 working relationship with your provider and request refresher training or additional development for staff as and when required. Remember that the training provided by your supplier is system training only and will give you the tools to do the job that need to be coupled with understanding, knowledge and experience of resource planning. In most planning teams across the contact centre industry there are people who are the experts, who train the others in the team and take the new people under their wing. How long has it been since that person was trained on the WFM being used or in the skills of resource planning. Are you running a risk by using hand-me-down training methods? Does every new person receive a little bit less knowledge? They will certainly only be trained in what this person knows or can remember. If you always do what you always did, you’ll always get what you always got. You might even get slightly worse due to the continued dilution of knowledge. It is important to remember this and provide structured training for new people. That way you will get the most from your people and the investment in your WFM. The top point I would want to make is that if you let your workforce management system dictate your business processes then you are lost. You have to be in control of your targets and your technology platforms, then use WFM to align the agents. There is not much that can help you if your prediction for the workload is wrong. Intelligent interpretation from accurate historical data is critical. The WFM has to be tightly integrated into the rest of the technology platform to know precisely what the throughput rates really are. Today’s customers may not want support by phone but prefer to email their questions or take part in online chats. Are all your agents equally adept at multiple media? Can you introduce variety into the working day by allowing them to move between platforms? Can you build schedules that provide cover for changing levels of demand across platforms? Time to answer or time to resolve may not necessarily be the best measure of success. Sure, you need to get the maximum productivity from each member of the team, but customer satisfaction and repeat visits may be a better yardstick than seconds on a call. Most people like consistency, so prefer similar start and finish times, meal breaks and so on. Others may prefer to offer short-notice availability to fit around other pressures in their lives. If you have invested in creating valued staff you should not put them off by offering inflexible conditions of work, especially if poor WFM technology is the root cause. Every article on WFM has to mention adherence, but it should never be a stick to beat the team. Use the technology to provide continuous performance evaluation, and offer education to the agents to help them understand how individual performances build success. The threat of consequences should be the last resort. The recent, and some would say continuing, recession has taught us all how to survive — and even thrive — in difficult times. In many cases, this has been through a laser-like focus on managing operational costs while enhancing service – two components that frequently seem to be at odds with one another. Establishing the right goals for the organisation, then making sure the right people are scheduled at the right times, have allowed many organisations to weather the storm. Whether a customer is already using an automated WFM system from another vendor, using Excel spreadsheets or using a manual method, change is inevitable. Be adaptable across all parts of the organisation. Every part of the organisation is going to have to change their habits and the way they are accustomed to conducting business. Set realistic expectations as to what the application can – and can’t – do. Select one or more individuals who commit to being power users. They need to have an understanding of the business and what goals are expected to be achieved through the implementation of WFM. Let them go to work. Heed their advice. WFM is a process of continuous improvement and refinement. Network with other users to share tips, tricks, traps and best practices. Engage your vendor in post-implementation operational consulting. Your business needs are likely to change throughout the lifecycle of the WFM tool you’ve selected – make your vendor a partner in your success. Adoption of WFM tools can be greatly accelerated when users (analysts, supervisors and agents) are made to feel that they are part of the selection and implementation process. When agents and supervisors have “one of their own” involved in the process, they tend to feel more invested in the project’s success. Too often WFM project results are measured only at the end points – the beginning of the project and the end. As a result, some benefits expected at the beginning may not be realised because of changing business needs and some real benefits are missed because no one knew to look for them. User conferences are great places to exchange ideas about what’s working and what isn’t. Many WFM users view these conferences as an opportunity to get out of the office for a couple of days. Use the opportunity to network with other users – especially those outside your “customary vertical”. Volunteer to be a part of the vendor’s Customer Advisory Panel. It gets you close to other users on a more regular basis, and it provides a means to influence a vendor’s product direction. Many implementations fall short, or completely fail to achieve their objectives as a result of poor project governance. All constituents should be represented: the executive sponsor, the user, IT, operations and other departments, as appropriate for the client. To achieve project success, implement a formal change management process and provide visibility into project changes across the entire project team. Require sign-off of all changes (even the smallest ones) to ensure the project team, including the vendor, remains in sync throughout the entire implementation project. Overstaffing tends to yield better service levels at the cost of excess labour cost. Understaffing helps manage labour costs, but usually at the expense of service level achievement. If excellent customer service is your goal, then some overstaffing may be desired. For a sales organisation where sales margin is the primary goal, then an understaffed condition may be desirable. Flexible working assumes a variety of forms including a mix of part-time and full-time staff, staggered starting and ending times, split shifts and others that are generally driven by employee work preferences. The benefits include higher employee morale and satisfaction; retention of skilled employees; reduced voluntary attrition; reduced training and operational costs; and increased customer satisfaction. A corollary to the flexible working strategy is to formally create an “at-home” agent work model. Studies have shown that at-home agents are just as productive and are often more reliable than agents physically located at the call centre. These agents tend to require more flexible schedules and can be invaluable especially for seasonal or cyclical businesses or those that tend to experience unpredictable call traffic patterns. WFM is more than just a software tool – it’s a whole business process solution. So, whether you’re swapping out an old system or implementing for the first time, it’s crucial that you consider the supporting business processes that accompany your WFM install before, during and after go-live. That means developing a change programme for the whole organisation, and paying particular attention to the needs and influences of your Operations, HR, Marketing, Finance and IT departments. You should work with your WFM partner to ensure that the processes fit your organisation’s structure and working practices before any software is installed, and then involve them in educating the entire business from bottom up on the benefits of WFM. It’s also crucial that the WFM team becomes a focal point in your organisation and is central to any core planning decisions being made. Beware of ‘knowledge erosion’ and invest in ongoing, regular training for your WFM team to maximise investment. WFM is well known for helping organisations to forecast, schedule and monitor contact centre adherence. Now, however, it can also offer support if your business model is more complex than simply taking inbound calls, with WFM assisting in unlocking efficiencies in less traditional areas. For example, WFM now allows users to focus on back-office functions that aren’t telephone-dependent, enabling the capture of data from disparate and often manual sources into a single system for simple access and analysis. Using this approach, an organisation has the ability to streamline the forecasting, scheduling and process analysis tasks across the entire operation. Another emerging area for WFM development is the inclusion of outbound capabilities. This enables the creation of schedules that are not only efficient, but also maximises the effectiveness of outbound calling campaigns. WFM can also now take this a stage further, managing the forecasting and scheduling of blended environments where employees are skilled across inbound, outbound, email and administration-based tasks. Enabling your workforce to submit preferences for their working times constitutes a “hidden” form of optimisation whereby the roster produced by your planning manager is more likely to be adhered to and less likely to be subject to modifications at the last minute. By knowing ahead of the schedule when your employee wants to work and when they do not, and ensuring that as far as possible these preferences are considered, you can eliminate in advance a large proportion of the scheduling conflicts that lead to no-shows and agent dissatisfaction. This will result in improvements in operational efficiency and retention. Many of the most basic and time-consuming processes involved in lower-tier management of the call centre’s resources can now be delegated to the use of an automated employee portal which – relying on pre-set business rules, organisational hierarchies, and permissions – can allow employees to make and authorise shift change requests, submit preferences and absences, view personal and departmental scheduling information, and more. As even the most inexperienced planning manager knows, regardless of the number of employees who are working at a given time, if they all go out to lunch simultaneously there will be no one left to answer the calls coming in. This is just one example of the need to schedule your employees’ breaks in advance, so that net demand coverage can be calculated with consideration of the expected number of resources out on break during the same intervals. In addition, distribution of breaks should be geared towards optimal use of anticipated fluctuations in demand, for example by pushing breaks to low-activity periods during the workday. Most organisations bemoan lack of employee flexibility as a major frustration during times when the business needs to implement change. But flexibility is a two-way street that can be embraced to the benefit of all. Contracts are often seen as immovable objects cast in stone, but it is often overlooked that there can be some leverage for flexibility within contracts. Small changes such as variable start times can often provide a more cost-effective scheduling approach. Another route is to ask for volunteered “availability”. Just because an agent is working a shift pattern doesn’t mean they like it or it suits them. The ultimate end game of flexibility for both the business and employee is interactive scheduling where pre-optimised schedules can be offered on a shift bidding basis, ensuring choice and flexibility for all. Obviously you need an appropriate tool to help manage this efficiently. After all your data has been gathered and analysed, forecasts have been created and schedules have been produced the next stage is to find out if your plans are working. Track and analyse daily performance by half-hourly intervals, look at the key measures such as call volumes, AHT, grade of service. This will allow any deviation from plan to be identified and acted upon. Monitor schedule adherence. How well agents follow and adhere to their schedules can have a massive effect on performance. Report and analyse actual results against plan and use this information to develop and improve future forecasts. Identify the scale of the problem and the impact on performance; if staffing levels are high and performance is good a few fewer staff will be less significant than if the staffing levels are already low. Once the problem has been diagnosed, identify who needs to know; a small variance to plan may involve a communication to the contact centre management team, whereas a large deviation may involve calls to directors or the client. 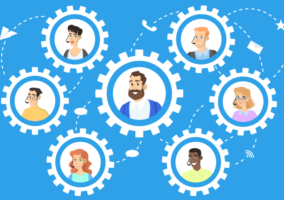 For issues that involve understaffing, such as an unexpected increase in call volumes, there are several steps that can be taken: meetings and training sessions can be postponed and team leaders can take calls. In cases where overstaffing is experienced, for whatever reason, strategies include holding team meetings, delivering training or coaching, and offering time off to agents. Make certain to review your arrival patterns in April and October and adjust accordingly for British Summer Time/ Daylight Savings Time changes. As more daylight is available, calls tend to come in later in the day, so be sure your staffing adjustments move with the flow of the calls. If agent skills or ACD priorities are changed throughout the day it is possible to automate this using Totalview’s Smartsync extension and import for multiple agents at a time. As we recycle Avaya Logins that leavers have used, I find it useful to delete this at the time the agent is moving. Doing this means that when you have new starts you don’t have to delete multiple logins at one time which can be very time consuming. If you don’t have Schedule Audit Trail on your version of TTV it is useful to print the weekly schedule calendar to ensure you have a note of the original published shifts. Doing this has helped me in the past when an agent thought their shift had been changed. Use Schedule Bidding to calculate your current shift inflex, it definitely helps with recruitment planning. Exporting the data from ‘Agent Data’ into Excel allows you to quickly calculate how many agents are in each team – this helps when you are mass recruiting. Workforce management has been traditionally focused primarily on inbound phone interactions. However, in today’s world, agents do more than just handle phone calls. Emails, Text-chats, Web interactions, faxes, SMS messages, CRM work items and paper mail are some of the many channels customers want to communicate across. The ability to optimise all these types of work into an agent’s schedule is now essential to contact centre success. Your agent is about to go on break or go into a meeting and routing a call to them means they are immediately out of adherence. Allowing routing logic to view and utilise agent schedule data enables workforce management and routing logic to work in harmony with one another and eliminate much of the manual schedule adjustments required by WFM users. Don’t let training schedules interfere with meeting your service objectives. Many times training is mandated outside of the contact centre and scheduling training becomes a daunting and often manual task. Using a tool that can schedule agent training based on the master schedule in WFM and take into account the needs of the contact centre helps streamline the agent training process. This enables you to respond more quickly to changing business conditions and simultaneously boost agent morale. In today’s virtual environment, people can be located in various locations such as a contact centre, a remote location, a branch, working from home, at outsourcers, or in the back office. To the consumer, any hand-off should be seamless and transparent. To a company, it is critical to smooth out the staffing and the skills in order to maximise productivity. Ask yourself this – when was the last time you did an assessment of your agents’ skills to take an objective view of how they’re performing? Why not level the playing field for skills assessment by measuring everyone using the same tool that can also fine-tune updated skills data for accurate forecasting and scheduling. 51. It’s costing you more than you think – Are you paying for overtime when you don’t have to? Even the best plans can go awry. Creating forecasts and schedules that take into account specific shrinkage on the day will help you get insight into under-staffing situations. This allows you to take action such as cancelling a meeting so you do not have to pay for costly overtime. 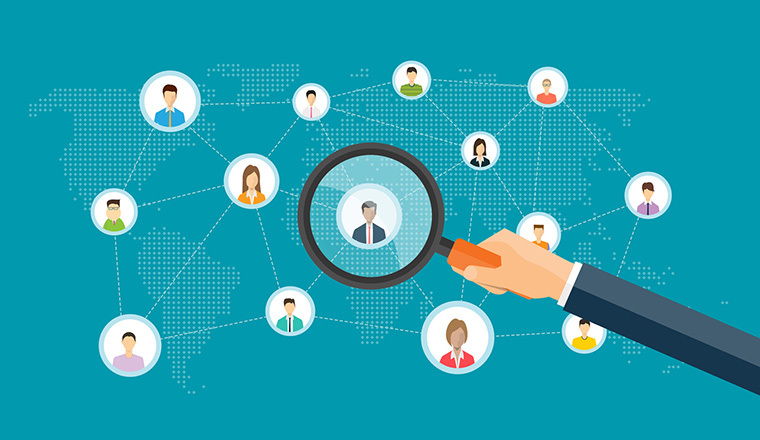 Most contact centres will undertake some formal workforce management. But what some don’t realise is that the greatest success with these initiatives will be achieved by considering the interests of their staff in harmony with a focus on achieving business efficiency. Often there will be a need for additional working hours, a limitation of breaks and team splits, meaning that staff can no longer work with the same employees, all of which can have an adverse effect on morale and the sense of belonging to a team. 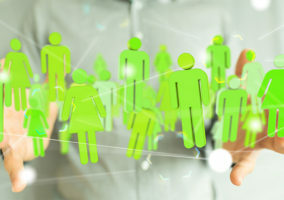 Contact centres should always consider the human element behind a workforce management plan and ensure strategies take on board the length of working days and the different working patterns of staff. While WFM software continues to deliver h4 and demonstrable rates of return in the contact centre, the next major development phase will see forecasting, planning and analytics techniques extend to the back office as organisations look to achieve similar levels of performance improvement in other parts of their business. This represents a great opportunity for planners and schedulers, who will be able to extend their skills and techniques across both the front and back office, providing – for the first time – an integrated assessment of the different customer-facing resources deployed across an organisation. We’re also seeing resource management solutions broaden in scope in order to support the projected growth in multi-channel interactions in contact centres. WFM is a technology that is ideally suited to optimising the performance of agents dealing with both phone and multi-channel interactions, over the next few years planners will need to adapt forecasts to improve handling of key channels such as SMS, webchat, email, as well as instant messaging. Presenting managers with hard facts is a good way of getting them to take responsibility for customer problems but it’s important that the data provided is both clear and relevant. Use all available data (i.e. both real-time and historic) to establish the root cause of problems and ensure that the data you are using to plan with is accurate (i.e. is your ACD reporting on all relevant applications? is historical data being updated regularly enough?). If necessary, model different scenarios to work through possible solutions and consider illustrating management reports with customer stories, including recordings of interactions that capture the customer experience. Where appropriate, it may also be beneficial to engage experts outside of the contact centre when resolving issues. Get as broad a view as possible of likely demand when creating workforce schedules. Not just from marketing and other departments that drive demand into your customer contact operations – but also back-office and sales/outbound functions. It’s important that these areas are not treated as silos. You can use “what if?” scenarios to plug in estimated call volumes and desired service targets, and then calculate the additional resource requirements needed to cope. Of course, recruitment requirements can be minimised by introducing flexible shifts for existing staff. This is another area where a “what if?” feature is invaluable. Remember that whilst WFM solutions are powerful tools which will help you automate and improve your forecasting and scheduling process, they are only as good as the information that goes into them. Every organisation using a WFM tool should have an expert or team of experts who really understand both the business and the best way to use that business intelligence in the solution. That way you will get the maximum benefit from your investment. A decent schedule can only be produced if you have an accurate forecast and it is essential that your forecaster receives the right training to make sure they are maximising the benefit of the WFM tool. It is worth a modest investment in formal training from your supplier from time to time to make sure you are making best use of your technology. Be clear what you want to achieve and ensure that your supplier has the confidence that they can provide training which meets your needs. 60. Don’t hide your WFM solution away in a corner! The vendors invest thousands of man hours in developing solutions which are designed to enhance many of your business processes. They include tools not just for the planning team but for every interested party in the contact centre. To get the best performance from your system make sure that your processes encourage your colleagues in the contact centre to use it to both get information and to communicate. For example, why report an episode of sickness or lateness on a separate spreadsheet when, if it is entered as an exception on your WFM tool everyone can see and report on that information instantly? Never forget that a WFM solution helps you deliver your best plan for each and every day, it cannot control the actual execution, i.e. what the employee actually does on the day itself. Only the contact centre management team can do that, so make sure that all the stakeholders understand the plan, buy in to it and understand the need to deliver against it. Reporting from your solution can help you go some of the way to identifying problems that have occurred, but this is too late, make sure that your excellent planning is supported by excellent delivery. What's Next With… Workforce Management? I am not able to understanding the FORCASTING.please advice. I am looking for information around forecasting non-voice interactions. Currently our agents handling email enquiries are specialised in this function and do not handle calls. We are using RightNow to extract email volumes and edit time. Do you have any advice in terms of best practise for what should be considered in the forecast and scheduling? Currently we are looking at using one edit time throughout a full week (a weighted average of the previous 6 weeks)as an interval forecast doesn’t seem to be practical considering the current SLA’s which can vary from 4 hours to 48 hours depending on the email enquiry type. We are using Genesys WFM which gives us the functionality to forecast and schedule at an interval level. Any information would be appreciated. What is the exact plan that a manager must have in order to arrange day shifts for call center agents of about 500 who works about 8 hours daily? I am looking for information around scheduling the web time where the case are logged through web and agent call back the customer to fix this issue. There are 4 priority P1 cased need to called within 30min,P2 call need to addressed in 4 hours and P3&P4 in 8 hours. How can I go about staffing these agent, again the calls are not resolved in one call or in one day it might take weeks or even months. Nice content and really informative tips for workforce management. It will be surely helpful and thanks for sharing your knowledge.